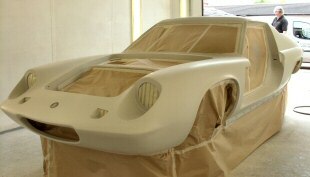 Armada Model Designs applies the same attention to detail to all its aerodynamics projects - big or small. 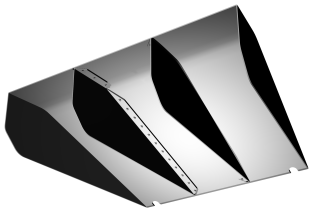 From large scale oil and gas work to smaller tasks such as the design of this aerodynamic diffuser for the latest Banks Europa, we take pride in delivering an exemplary service. Owned by Richard Winter, Europa Engineering manufactures classic Europa sports cars from scratch. 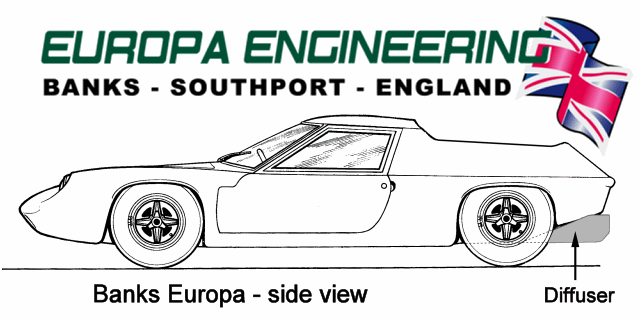 On occasion, Richard produces a unique 'flagship' vehicle, such as the 59 mpg "Smart Europa" pictured above - a classic shape made into a contemporary sports car with performance to match. This page outlines how Armada created an aerodynamic diffuser for Richard's latest project - the Diesel Europa. 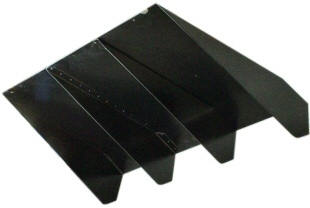 In short, a well designed diffuser controls aerodynamic pressure recovery. With respect to reducing aerodynamic drag, controlled pressure recovery at the rear of a vehicle is of fundamental importance. 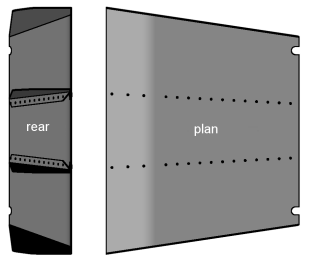 Controlled pressure recovery can be obtained by so-called "boat-tailing" but it can also be achieved by tapering the underside of the car upwards - thereby creating a diffuser. In general, the presence of a diffuser also has the beneficial effect of reducing lift at the rear axle. The diffuser manufactured for the Diesel Europa had to complement the styling of the vehicle and also had to exist within a clearly defined space. To a large extent, these factors dictated the diffuser geometry. A survey of existing wind tunnel data was undertaken to check that there were no inherent flaws in the proposed design. 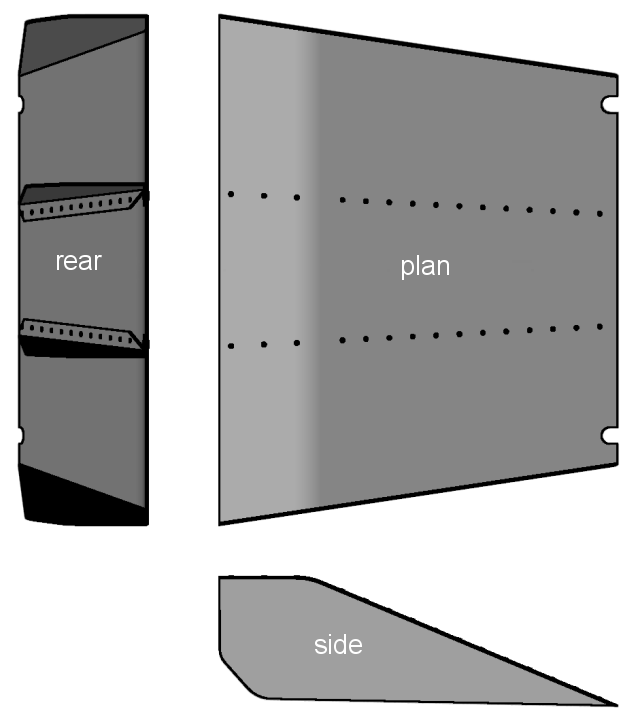 To ensure that there were no problems with the intended diffuser geometry, a cardboard dummy was assembled and fitted to the vehicle. With the design finalized, construction could begin. First, a rear-body support structure was fabricated from lengths of 1.3/8"x5/8" (41x16 mm) and 5/8"x5/8" (16x16 mm) box section mild steel. The diffuser itself was cut from 2mm aluminum sheet and folded to form the main structure. The assembly was notched, where necessary, to maintain a 3mm gap between it and the surrounding vehicle structure. The vanes that help constrain the flow were also constructed from 2mm aluminium, attached using 3.2mm blind rivets. Finally, the rivets were carefully flattened using a panel beater's hammer and dolly. 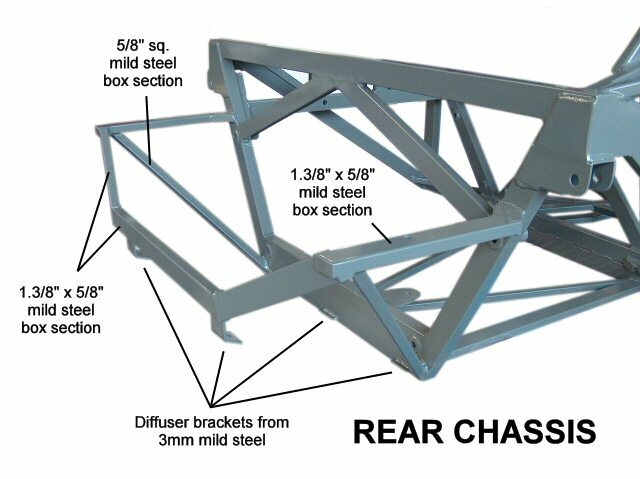 To mount the diffuser on the vehicle, five brackets were fabricated from 3mm mild steel. The entire diffuser was then powder-coated to create an attractive hard finish that is tougher than conventional paint.